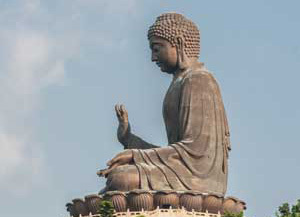 Buddha's Birthday in Hong Kong is celebrated anytime between the last week in April to the any week in May. The actual date is not known. This day celebrates the birth of Buddha. Buddhists will celebrate this day by attending special ceremonies at temples throught Hong Kong. One of the better known temples in Hong Kong is in the Po Lin Monastery on Lantau which has the worlds largest seated bronze Buddha. Shakyamuni Buddha was the founder of Buddhism and was born in India about 3000 years ago and its guessed that he was born on April 8th, 1029 BCm however scholars do not know the actual birth date.